It’s June. Even though it’s oddly mild for this time of the year, I’m having my yearly hankering for citrus-centric colognes. Last year I asked for some suggestions within this category; there were many great ones. But, apparently I can’t get enough of insubstantial citrus waters. I still want more. When it comes to aromatic citruses, I think Italians do a great job. 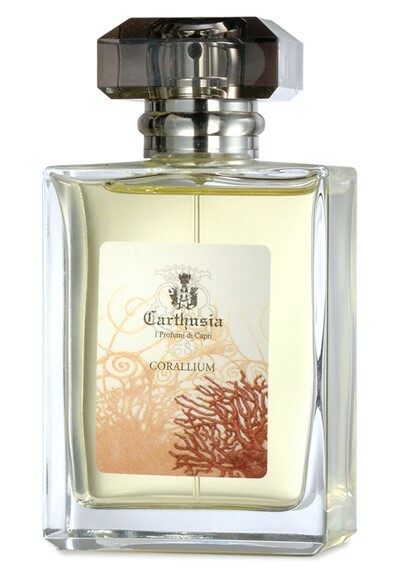 The Carthusia line has many wonderful “colognes”and today I’m talking about Corallium. Corallium opens with a sweet citrus. On my skin, it’s mostly a juicy orange. It then becomes a refreshing aromatic citrus. The oranges are paired with dry Mediterranean herbs. There’s an effect that feels like salty sea air. It’s cool but not overly aquatic. It’s more like a coolness, like eucalyptus. It’s not listed, but I pick up on a lot of fresh basil (a note I love in perfumery). Another thing I didn’t expect in this fragrance is a mineral quality that reminds me of salty, damp stones. The dry-down is a soft warm musk. It’s like the damp stones turn into a flaxen sandy beach. So, my only real issue with Carthusia fragrances is that they do not last at all on my skin. I adore them but they last 2 hours if I’m lucky. Longevity isn’t a deal breaker (or deal maker) for me. If I like something, I like it. But, I do feel like I have to bathe in Carthusia fragrances and that would become expensive. This one does last longer (4-5 hours) but wears close to the skin. I’m happy about that. Notes listed include bergamot, tangerine, myrrh, bay leaves, sage, musk and sedum. GIve Corallium a try if you like aromatic citrus perfumes. Or perfumes like Malle Cologne Bigarade, Hermès Terre d’Hermès, Atelier Cologne Cedrat Enivrant, Caron Eaux de Caron and/or Biotherm Eau d’Energie. It’s a fresh scent for summer. It’s like a cologne so projection and longevity are below average. But, wears longer than other Carthusia perfumes. Corallium comes in a few sizes with the 1.7 oz retailing for $80 at Luckyscent. Samples are also available for purchase. Victoria’s Final EauPINION – Oranges and Mediterranean herbs. I like it. It’s sea-like without being obviously aquatic. *Sample obtained by me. Product pic from Luckyscent. 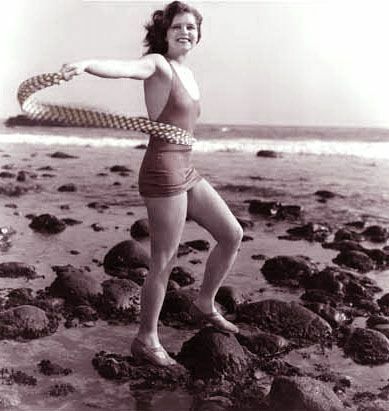 Clara Bow from goldenagedames.wordpress.com. I understand. I try to stick to 1-2 every summer and try to drain those during those months. Lately, it’s been a little cool and I haven’t been interacting with the world much (job hunting is so fun, eye roll), so I haven’t been using a lot of colognes yet. I adore the Hermes ones. I would love to pick up the travel set but I need to empty a couple of my smaller colognes. I tried Citron Noir, the newer one, last week. I really liked it. The friend I with did not. On me it was a fresh lemon-y with depth from woods. It sort of seemed “noir” but more fresh. On him, it was just hissy, sharp woods 🙁 Anyway, off subject, but just want to say that I think the Hermes cologne line is incredibly solid.